In 2016, Gary Sweeney created a site-specific installation, A Manhattan Beach Memoir: 1945-2015. 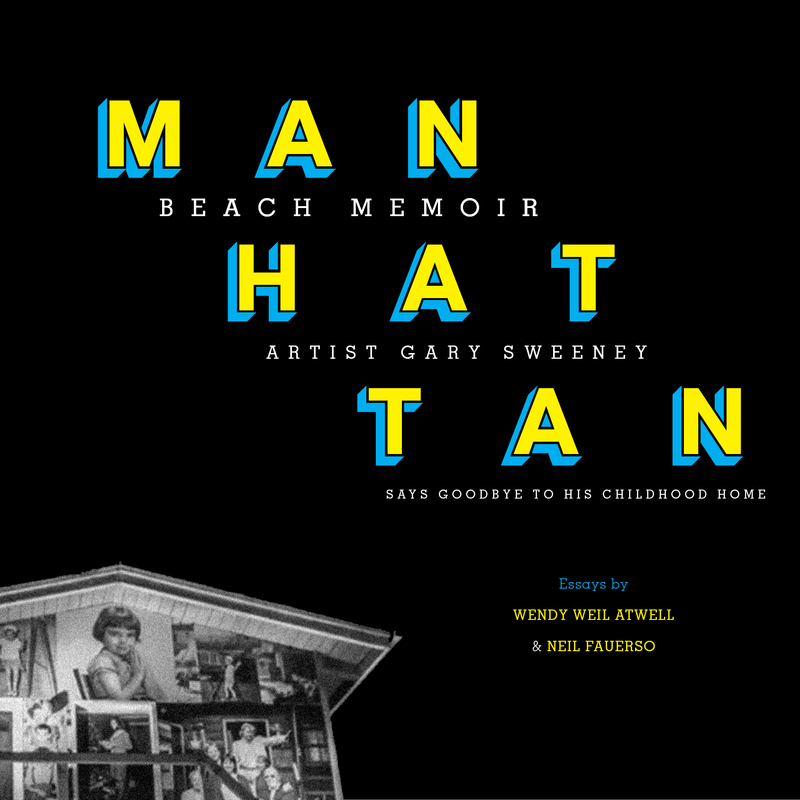 This book documents the installation at 320 35th Street, made as a tribute to his family, the Manhattan Beach of his youth, and the Southern California house that his family owned for over 70 years. A house is like a pictorial frame delimiting the lives lived within it; Sweeney’s memoir is an homage to this frame, this sheltered space, made resonant by the role it played in his family’s life. Sweeney’s art is a celebration not just of a bygone era and a particular family’s life, but of a specific landscape and a use of photography that is also disappearing into the past. As his humble beach cottage gets replaced by townhouse, and the city succumbs to an ever-growing homogenous suburbia, Sweeney’s art is both an endearing tribute and a wry social commentary. Writers Wendy Weil Atwell and Neil Fauerso discuss the social and economic factor that shaped Sweeney’s childhood, the astronomical increase in real estate values, the meaning of home, photography’s role in society, and the Southern California art movements that inspired and influenced Sweeney’s art. Gary Sweeney is a contemporary artist who lives with his wife, Janet, in San Antonio, Texas. Born in 1952, Sweeney was raised in Southern California during the euphoric post-World War II atmosphere. His house in Manhattan Beach was just a few blocks from the Pacific Ocean, where Sweeney surfed and soaked in the California sun before graduating in 1975 with a Degree in Fine Arts from UC Irvine. Influenced by both Pop art and California artists such as John Baldessari, Sweeney’s art ranges from neon signs, billboards, and murals to rug making, book art, and video. To support his artistic career, Sweeney worked as an airline baggage handler for 35 years. SKU: 9780692153499. Category: Books. Tags: Artist, Gary Sweeney, Manhattan Beach, Memoir, Photography.